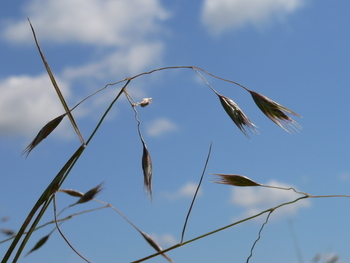 Thriving on sunny, dry, low fertility soils, Needlegrass is valued for its soil stabilization and revegetating strengths. 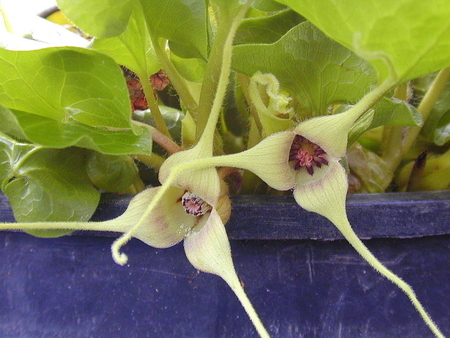 Named for its spike-like seeds. It could star in naturalized areas with little foot traffic or in a corner as a native ornamental grass. It is found on very dry, rocky sites in the west. 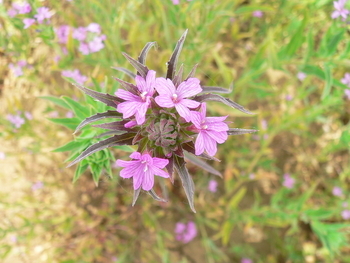 It has bright rose to purple urn like flowers. Taper-tip onion grows on rocky outcrops and dry prairies with annuals such as blue-eyed Mary and rusty popcorn flower. Key nectar species for Fenders Blue Butterfly. Native up and down the West Coast, with pale pink to white flowers this little onion is a cinch to grow. 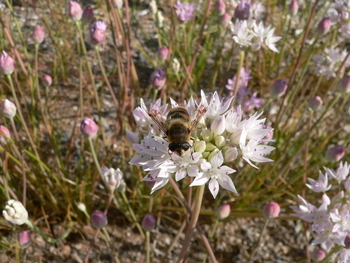 Native pollinators love the showy long lived flowers. 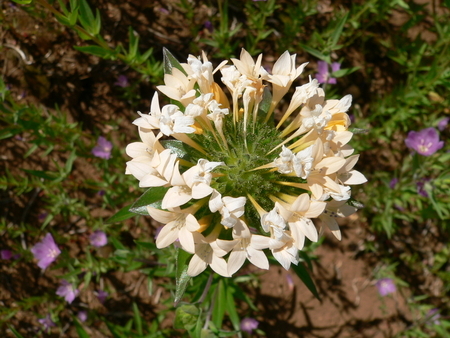 Freely reseeding, large bunches of these flowers are colorful over 6 weeks. 8 in. tall. 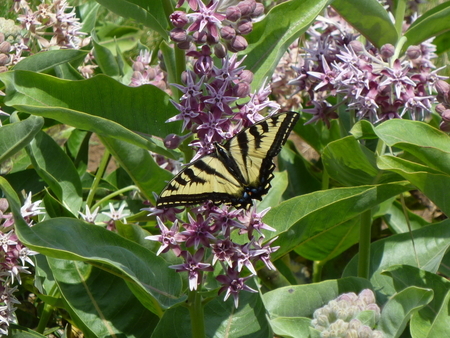 Key nectar species for Fenders Blue Butterfly. 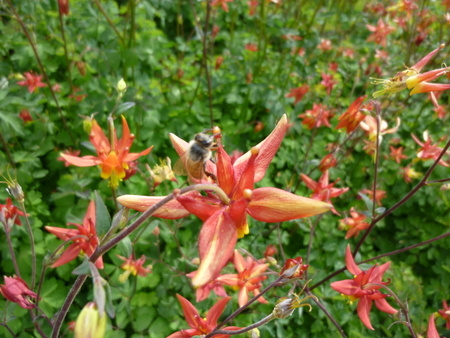 Our columbine blooms from spring to early summer with intricate red and yellow flowers. 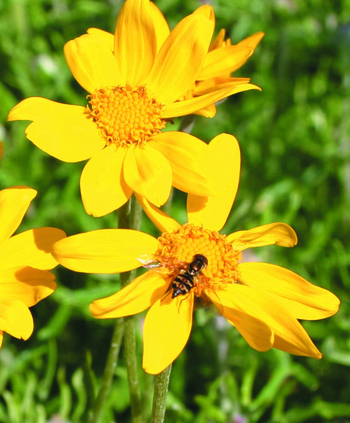 Cut back for second bloom or leave chambered seed cups to attract seed-eating birds. A versatile landscape and garden plant - very attractive to pollinators. Sun to light shade. 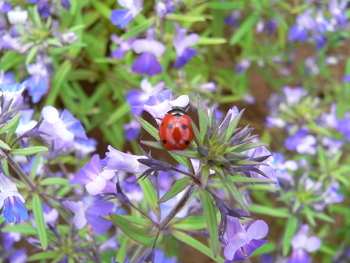 Forming dense evergreen mats, this super ground cover shines all year round in shade. 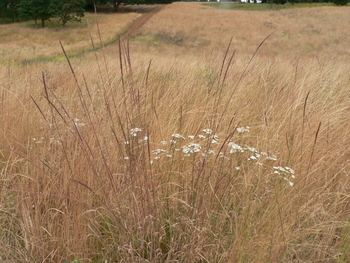 Adaptable to some drought, it looks even better if given a little summer irrigation. Short, to only 4 in., tall. 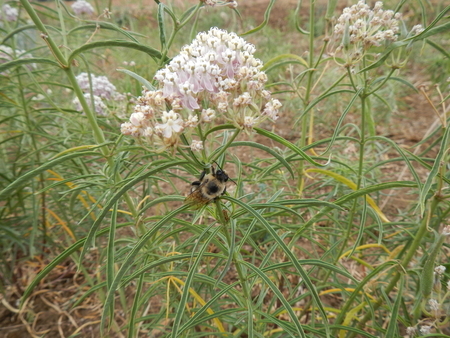 Narrow-leaf milkweed attracts butterflies and bees and is smaller in stature than showy milkweed. 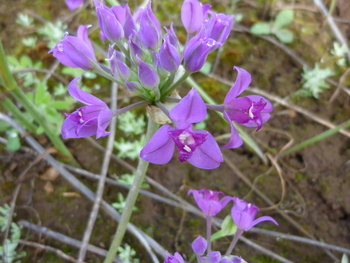 It tolerates very dry conditions and is, typically, found in thin rocky soil areas in the Willamette Valley. It is a host plant for Monarch butterflies. 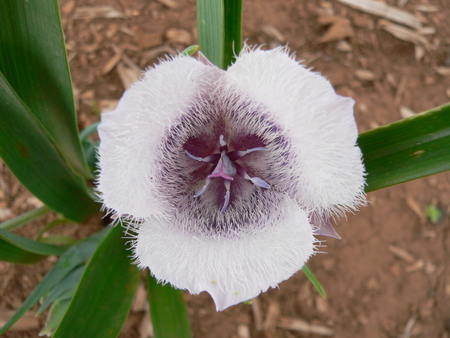 Late-flowering lily with violet-purple, vase-shaped flowers in a loose umbel. 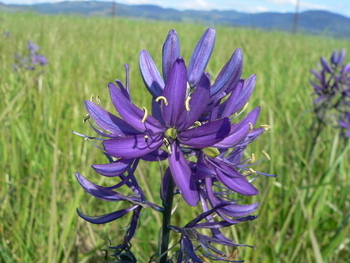 Harvest brodiaea is found in wet prairies and vernal pools often with other members of the lily family such as camas, slim-leaved onion, and hyacinth brodiaea. 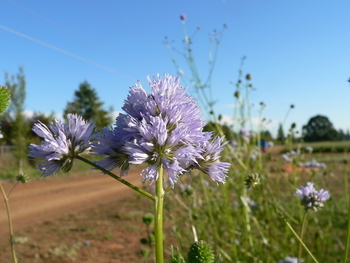 6-10" tall. Sitka brome is a shade-tolerant native brome often found in the Willamette Valley in woodlands with Blue-Wildrye. 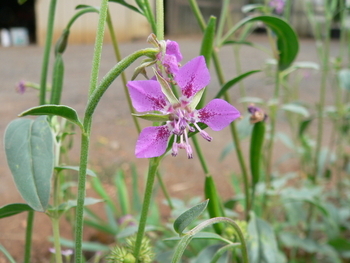 It has long flowering stems and nodding flower stalks. It has been very rewarding developing some of the lesser Willamette Valley forbs into commercial crops, like the Cat’s ear. In late spring and early summer foliage is followed by extremely fuzzy, white or pale pink flowers. Ample winter rainfall with sparse summer irrigation is best. Low growing to 4 in. Little blossoming size bulbs. Key nectar species for Fenders Blue Butterfly and Taylor's Checkerspot. 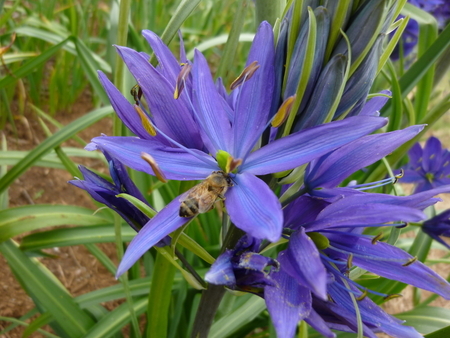 With intensely blue, starry flowers in dense spikes in a carefree package the camas is a useful addition to gardens. 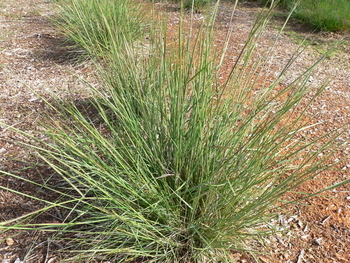 It will gently reseed itself given light shade to full sun and some spring moisture. 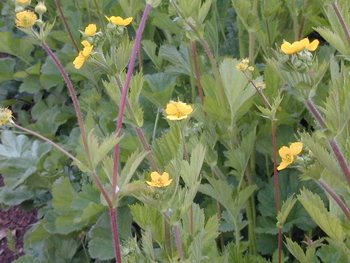 Dormancy starts in June so it is a great candidate for mixing with other perennials. 18 in. tall. 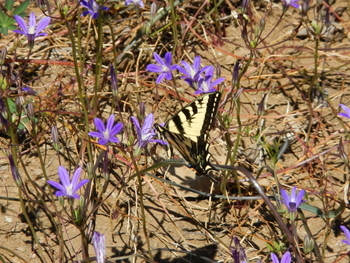 Occasional nectar species for Fenders Blue Butterfly. 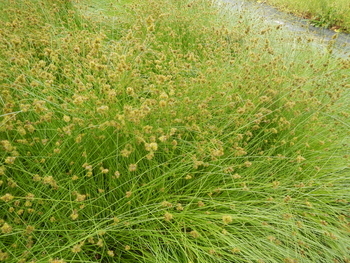 Dense, clump forming sedge, 12-30" tall, large, compact flower clusters. 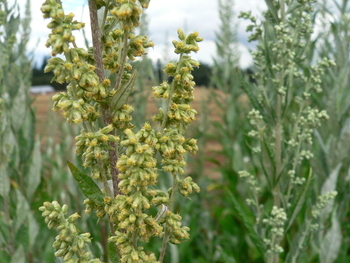 Important food source for waterfowl, songbirds, beavers, and deer. 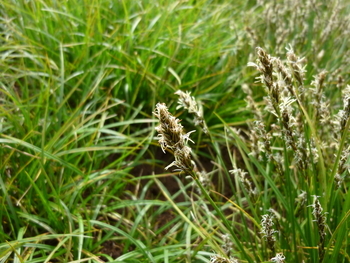 Slender, clump forming sedge 12-16 ' tall, light green leaves and nodding inflorescence. large, bushy sedge with dark interesting seed heads (easy to find sources), rhizomatous! 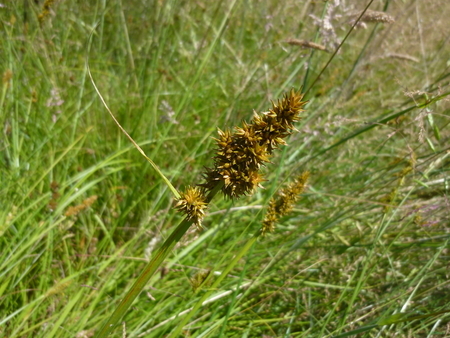 Chamisso sedge is natives to western North America and is found in many types of habitats. 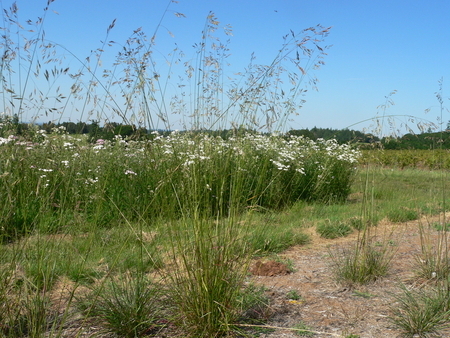 It can tolerate drier conditions than most of our native sedges. 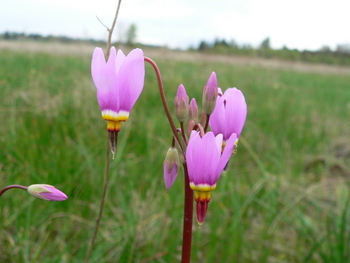 It grows in wet prairies but also on forest edges. Dense, clump forming sedge, 12-30" tall. It grows in many different hydric conditions making it a good competitor and ideal for disturbed sites. 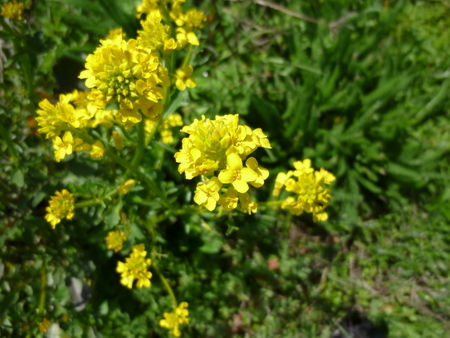 Bright green plant with pyramidal flower clusters and stout, triangular stems, 15-35" tall. 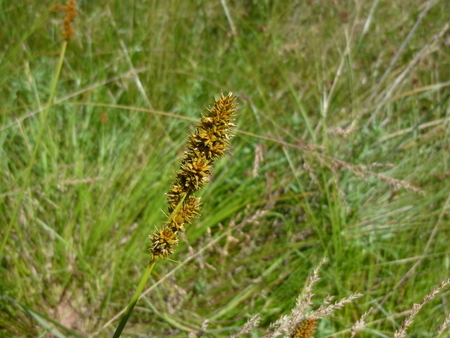 This sedge is common in the wetter portions of prairies. 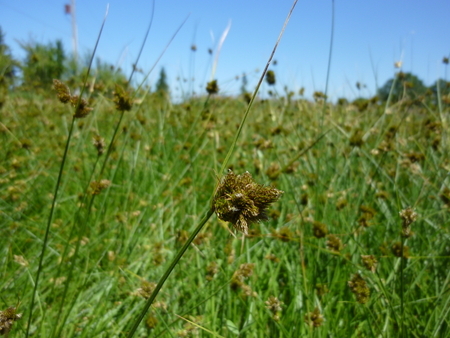 This one of our few upland prairie sedges. 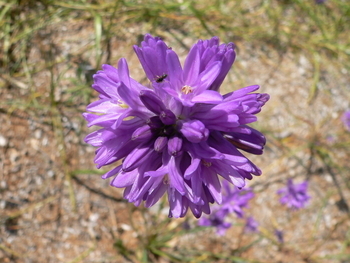 It forms large clumps and has delicate nodding flower heads. This sedge is commonly found in wet prairies and ditches. It is 12-30" tall, has yellowish-green foliage, is densely bunched, and has compact flower heads. It adds great texture to a garden when planted along a drainage. 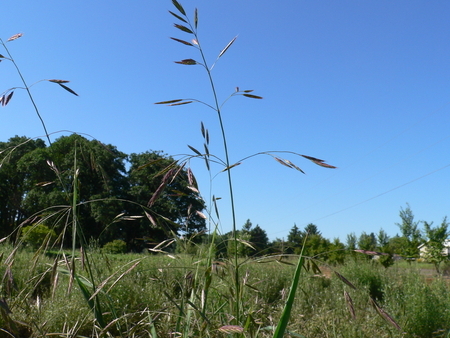 Low-growing bunch grass with only a few nodding flower spikes, 1-1.5 ft in flower. A versatile grass found in both wet and dry prairies. Key Willamette Valley wetland grass. 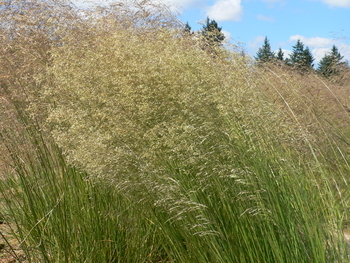 Inflorescence tall and delicate, resembles hair blowing in the wind. 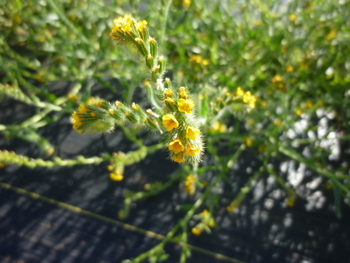 4-5 ft in flower. A tight cluster of purple lily flowers grace the top of long stems. 1-2 ft tall. 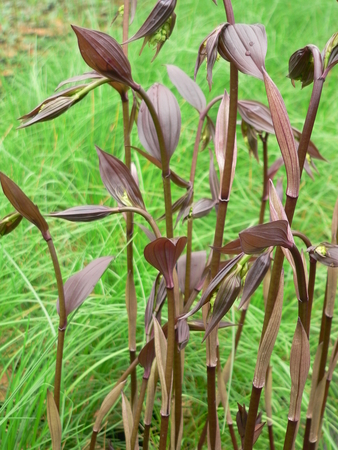 A Heronswood Nursery selection with bamboo-like stems that emerge dark purple rather than green, sheathed at each node with golden-tan papery bracts. 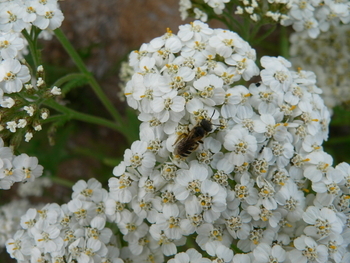 Makes a 4-5 ft. tall evergreen clump (hardy in Zone 6, but deciduous) with small white flowers followed by many shiny black berries. 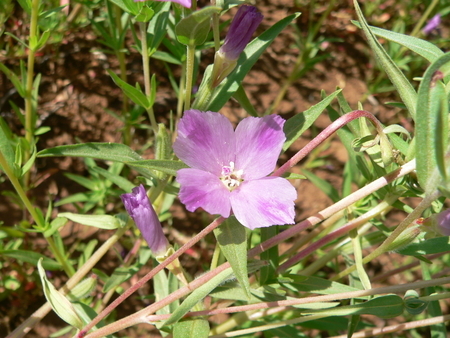 Enjoys rich, moist soil. Easy. Our native Willamette Valley shooting star adorns our wetland prairies in the spring with a splash of hot pink. Combined with common camas, the landscape in April resembles an impressionist painting. There are multiple flowers on top of 15 inch stems. The brown seed pods also add early summer interest when used in landscape plantings. Medium-height bunch grass with thick, blue-green leaves, flowers in slender spikes, turn nice red as they mature, 3-4 ft in flower. 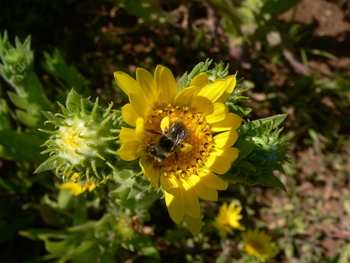 Provides a very long-lived showing of golden daisies to the mid-spring and summer landscape. The wooly leaves form a dense, nearly evergreen mat 1-2' tall. 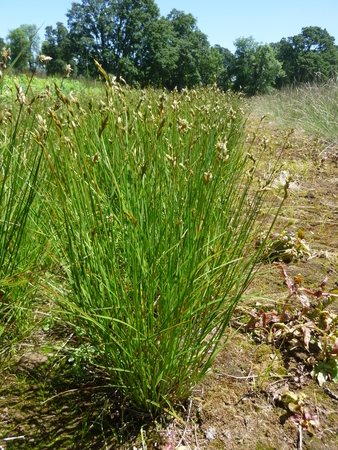 It is excellent as a border perennial or a groundcover and is one of the matrix species in the Willamette Valley prairies. 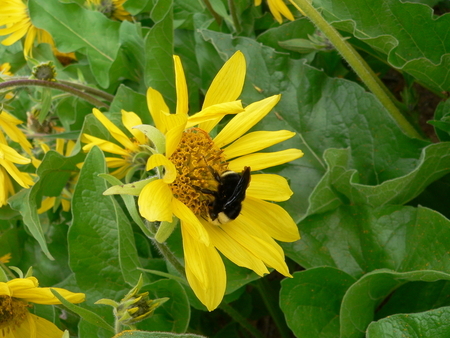 Nectar species for Fenders Blue Butterfly and Field Cresent. Wonderfully tall bunch grass with delicate inflorescence. Undersides of leaves are blue-green, 3-5 ft in flower. 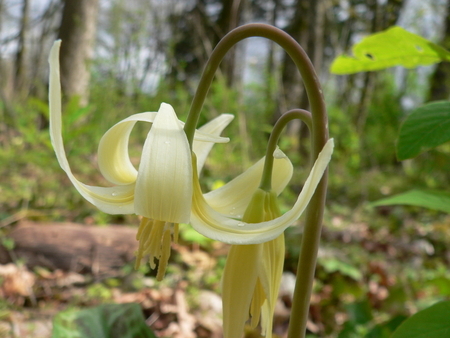 Shade tolerant. The flowers seem to float above the greenery in the Willamette Valley, where it grows among taller grass. 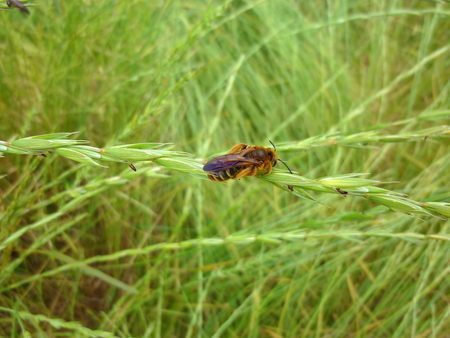 Our iridescent solitary bees are very common sight on the large purple-violet flowers that are presented over a long period; June through early July. 16" tall, 20" wide. Key nectar species for Fenders Blue Butterfly. 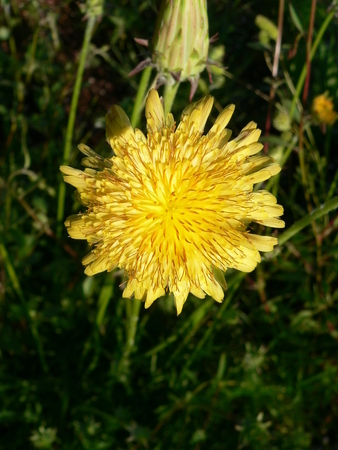 Bright yellow rosaceous flowers clustered in upper leaf axils, compound lobed leaves, 2-3 ft tall when in flower. 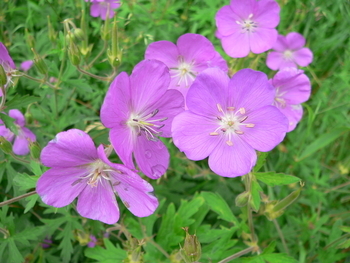 Does very well in a garden setting often blooming again after deadheading. 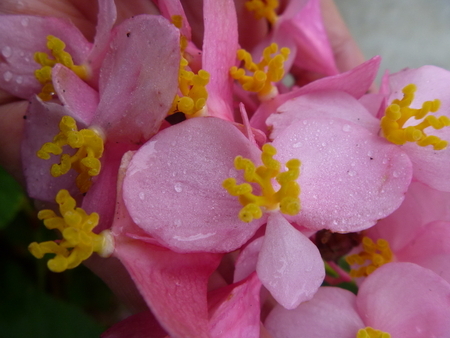 Native to wetlands, streambanks and woodland edges.. 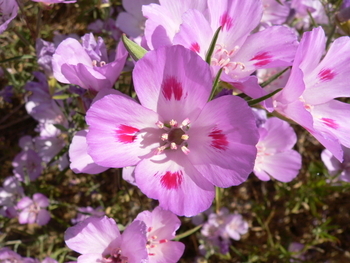 This native annual is most often found in dry, rocky outcrops and does best without competition from perennials. 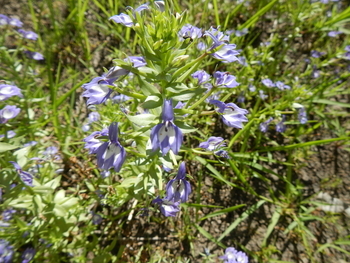 It has numerous baby-blue, globe-like flowers in heads. 3-5 ft tall. This tall perennial wildflower (up to 4 ft tall) of wetland prairies has clusters of bright yellow flowers in August that attract a host of late-season wet prairie butterflies and bees.